Blood, Guts, Babes, and Gore; Crypticon Leaves Us Begging for MORE! Crypticon Seattle 2015 has left us all spinning from another wonderfully organized event. From the gate watching minions, special guests, fantastic panels, and quality attendees, it was a proverbial gory heaven on earth. The Biohazard peeps outdid themselves once again with their odd yet hilariously awesome theme of a Tiki Party. Crypticon & Crypticon Seattle is a great example of what a dedicated fan base, can help create and contribute to. It is through the support of the fans of the genre that such events can continue on. It fills my little black heart to the brim with happiness, to know that so many truly, and absolutely love the horror genre. For it is special, and helps us grow as a species. 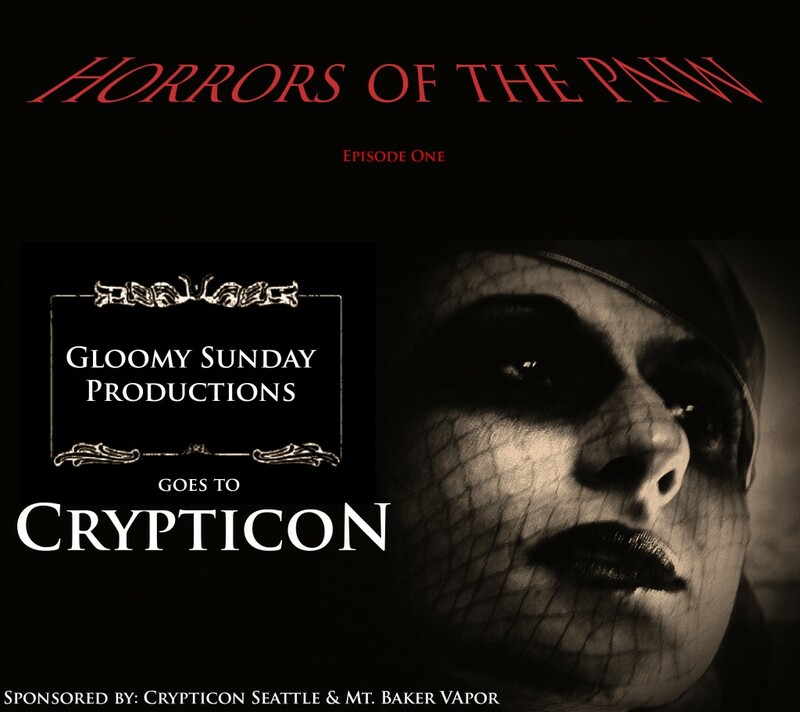 Gloomy Sunday Productions, in participation with Crypticon Seattle have been in the process of creating a series focused on the Pacific North West horror community. Helping independent artists have their work seen, and in many cases… created and produced. Supporters of this project have added up over time… and one of the main supporters is of course: The Blood Shed. Volume 2 will be released online next year right before the next Crypticon Seattle, as Volume 3 is being prepped to air at the convention. Every year seems to be getting better and better, with more artists taking advantage of the opportunity, it’s exciting to ponder what will be shown and created next. For those who are curious, and future potential artists: below is a link to Episode 1, released online right before the Volume 2 aired at Crypticon this last May.